Maybe you’re in a plane seat with no air conditioning and no Wi-Fi for the entirety of your flight. Or your flight was delayed for two and a half hours because of a mechanical failure. Or maybe your luggage was lost when you arrived to a foreign country, and you had to buy new clothes until it got there a few days later. While griping about your latest consumer mishap may make you feel a little better, how about getting some actual cash? In some of these cases, you might be entitled to financial compensation to make up for some of the headache. The first step is being willing to ask for it. Here’s what to do next. Before you ask for compensation in any situation — especially when it comes to travel — it’s a good idea to do some due diligence to find out what’s reasonable. The United States, for example, has different laws than Europe (in the former, you’re not guaranteed compensation for a mechanical failure, but in the latter, passengers are entitled to up to $650). In the U.S., if you’re on an overbooked flight and bumped to another one against your will, you’re entitled to up to $1,350 in cash compensation. Related: How Much Would American Carriers Refund You for a BA-Style Outage? Zilch. 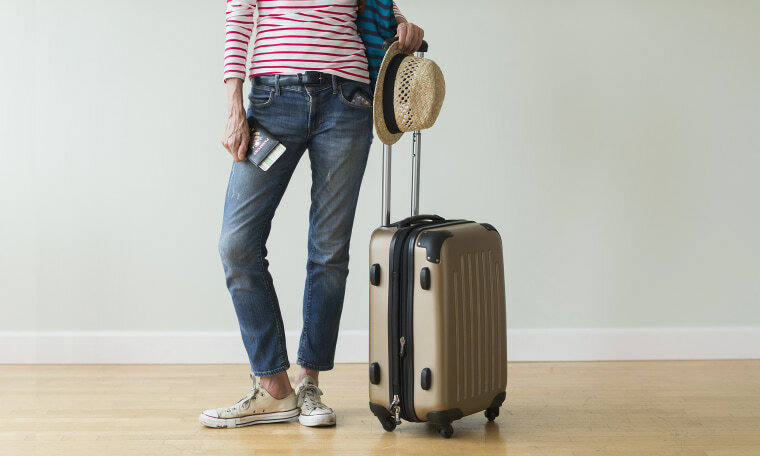 For lost or damaged luggage, it’s up to $1,220, says Henrik Zillmer, CEO and founder of AirHelp, an app and service that helps airline passengers get compensation from airlines for flight issues. As the old adage goes: “You can catch more flies with honey than with vinegar.” It’s true here, too. It might be best to call the airline or travel company first in order to make a personal connection and get a more immediate response. Keep in mind that many customer service representatives have been dealing with callers with short fuses throughout the day, so you can set yourself apart by simply being nice. When they introduce themselves, say, “Hi [X], how are you today?” It “takes them aback,” says Nick Reyes of FrequentMiler.com, a site that helps you earn miles without flying. “Starting out that way inspires them to want to help.” Another pro tip? Present evidence that shows you’ve been a loyal or long-term customer and that you were disappointed with the situation, but make sure to separate your experience from the person you’re currently speaking with. Constantly thank them as you go through the process. It’s also important to be very upfront about what you’re looking for as far as compensation (whether it’s a credit, partial refund, full refund or some other accommodation), says Edgar Dworsky, founder of ConsumerWorld.org. Know that sometimes the first complaint doesn’t work, and you can always use the “HUCA” (Hang Up, Call Again) method to try to get someone on the line who’s friendly and better suited to your request. Many airline and travel companies are also extremely responsive to customer service requests on Twitter, so you can always tweet your problem, tag the company, and ask for help. If and when you finally get your offer of compensation, don’t settle for the first offer, if you can help it. Remember, this is a negotiation. Say something like, “Well, I’d like to help you out here and get out of your way, but I was hoping for [X].” You can always ask (nicely) to speak with a supervisor if the representative you’re speaking with doesn’t have the authority to increase compensation. “Nine times out of 10, asking for what I want gets me a better result,” says Reyes.